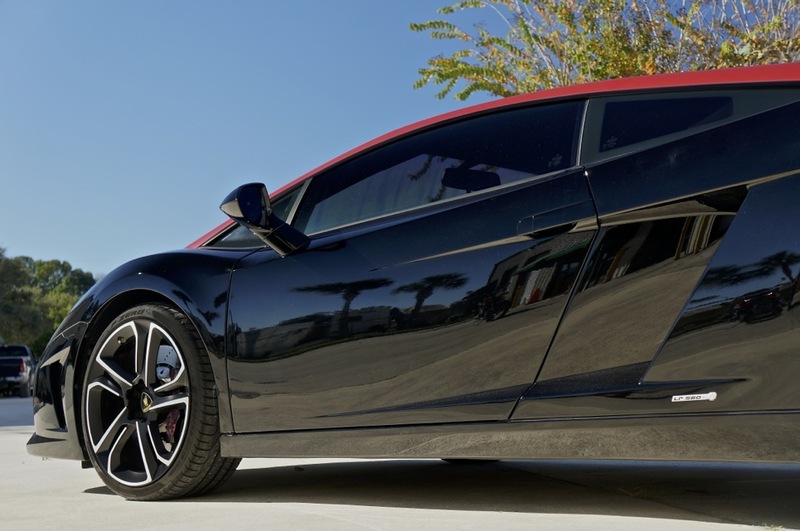 Thank you for taking a look at our 2013 Lamborghini LP560-4 Final Edition. 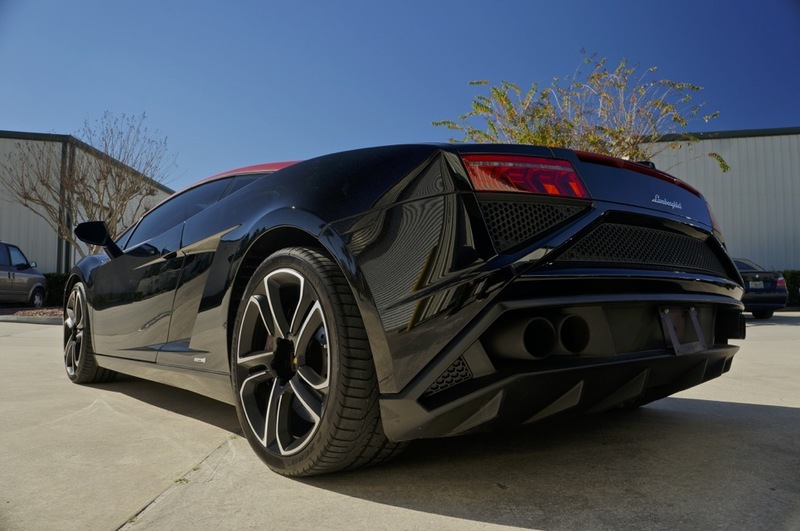 This Lamborghini is finished in Nero Black over Black Leather interior, the best color combination for these “Batmobiles”. 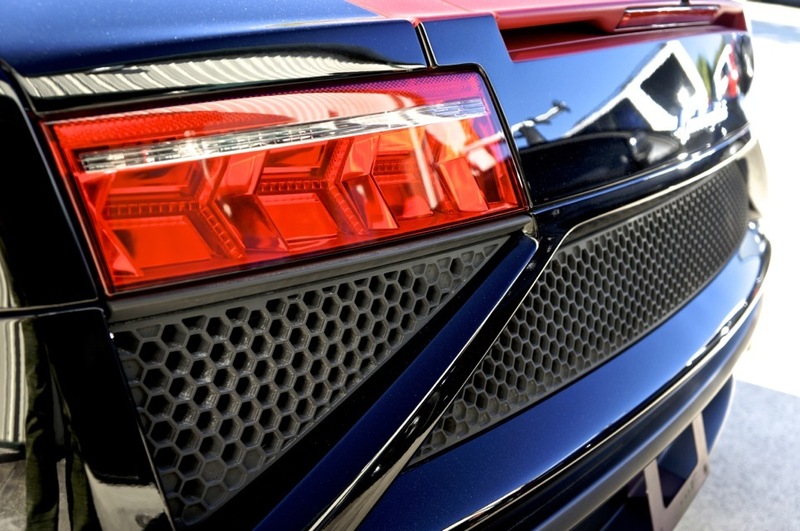 One of the best exotic cars on the road, this variation of the Lamborghini Gallardo represents the last ever Gallardo design to leave the factory in Bologna. The car has had a 3M clear bra installed on the entire front end of the vehicle including the front bumper, front fenders, hood, and mirrors. 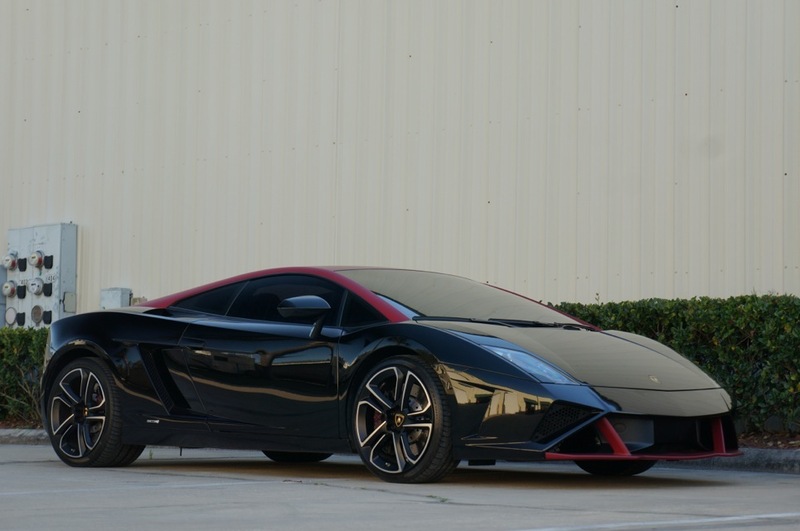 To further enhance the protection of it’s amazingly glossy black paint, the roof, rear deckled, pillars, and front lip were wrapped in Avery Satin Garnet. The paint under the wrap is in like new, perfect condition. 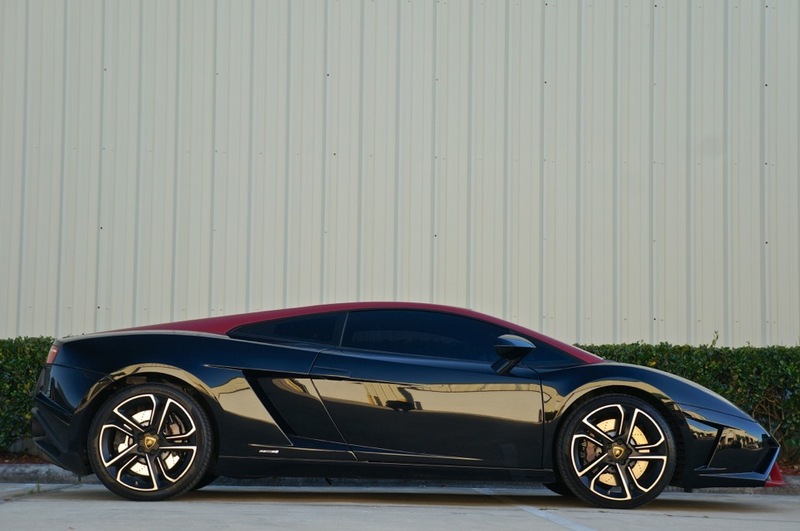 The wrap was completed on the car at it’s initial purchase, to ensure it’s protection was as valuable as the clear bra. The brake calipers and Center Shift Plate were also custom wrapped, and maintain the original finish underneath. 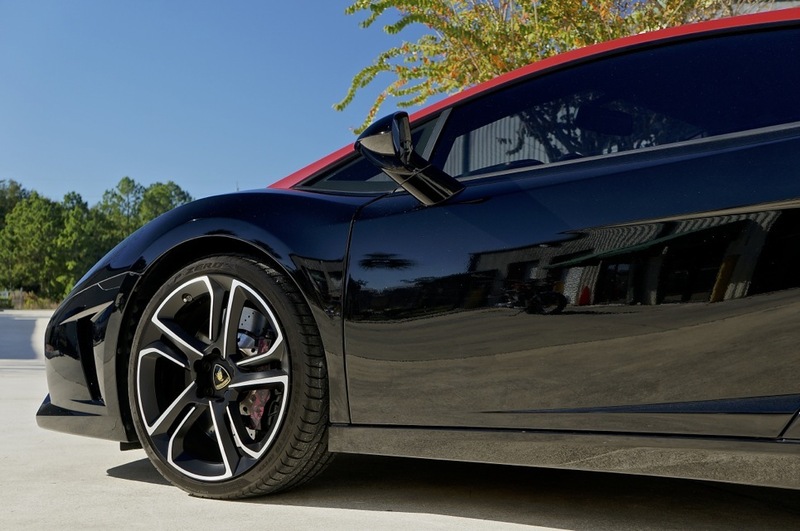 The windows (including windshield) were tinted with Ceramic UV Protecting Tint to protect the italian Leather from warping. 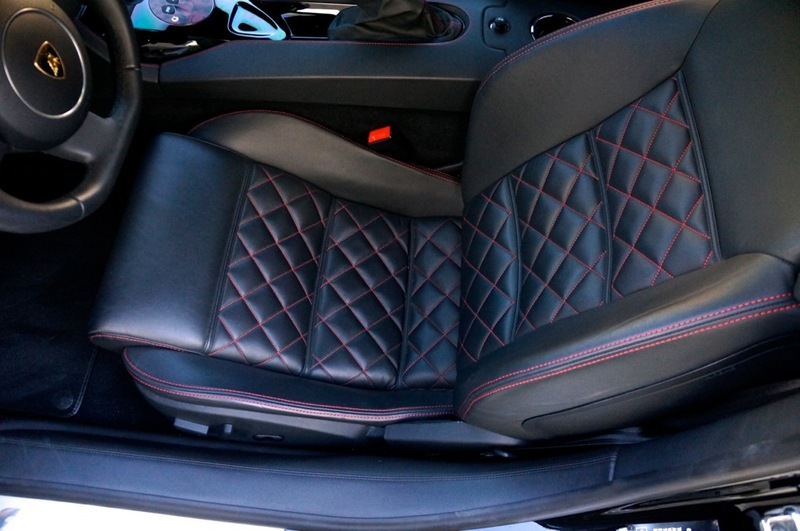 If you look at a lot of exotics such as Ferrari or Maserati Products, the leather in them does not last long when exposed to the Sun. This car is fully serviced, and needs nothing but a new owner. 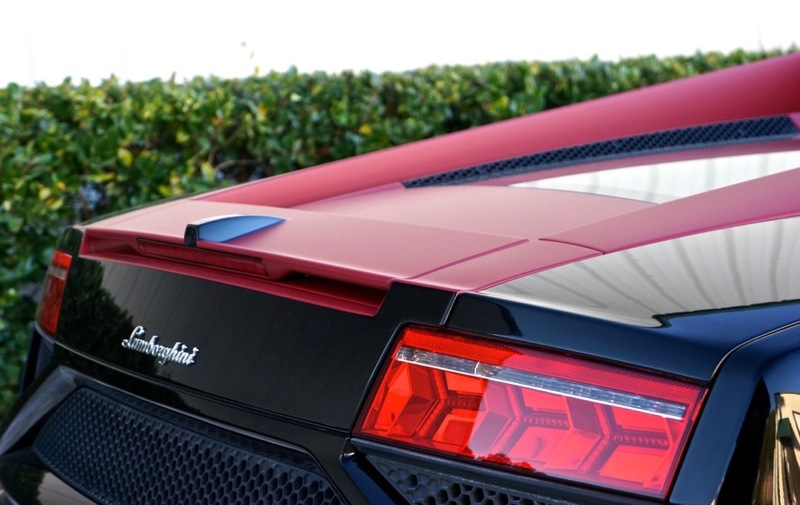 It is under factory warranty, and will go down as one of the most rare Gallardo models created.